New York has it all…well, except for a decent beach. Brighton Beach is my go-to since I get a side of stroganoff with my sea and sand. I tried Rockaway once, but saw a floating diaper. That, and the fact it took us over 1.5 hours to get there, was enough to put me off. I come from Bronte, after all. 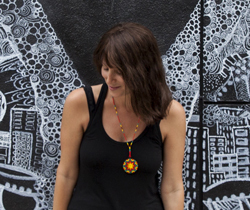 So I’m a huge fan of any project that aims to enhance the summertime experience in NYC. Three years ago I chipped in to help fund Plus Pool, the world’s first water-filtering, floating pool planned for the East River in the next couple years. Not only is it a brilliant urban planning project (and a huge Kickstarter success), but your donation gets your name on an actual pool tile. I chose to have both our last names on a tile! Get your tile here. 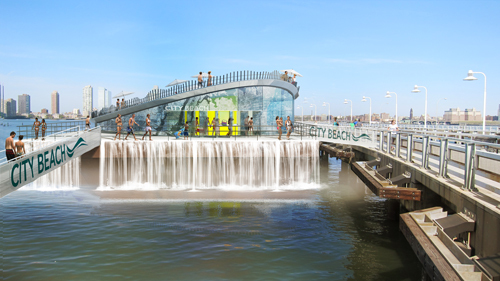 Now, there’s a new campaign to launch a floating beach park over on the Hudson River. The team hopes to launch a barge complete with sand, waterfall and food kiosks. Really fun. Get involved at Indiegogo. 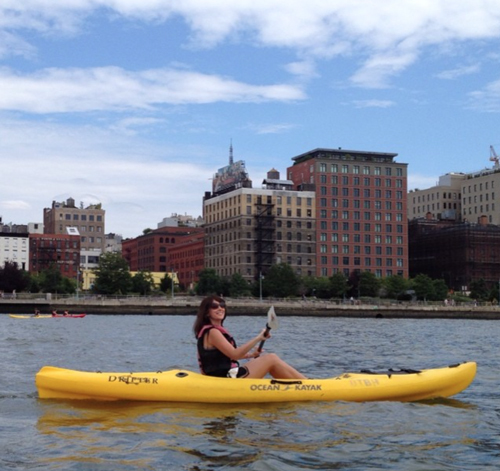 In the meantime, did you know you can kayak in the Hudson for free on weekends? We did it last weekend and it was so much fun! There is also free kayaking at Red Hook on Sunday afternoons and Thursday evenings.